"I wonder how tall it is?" says Linus. "I think we could find out ," replies Raj. "It could be difficult as it's very high," says Toby. I wonder how they each went about finding out the height of the tree? 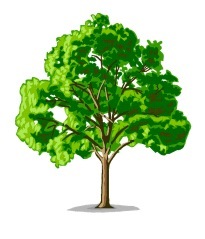 I wonder how YOU would find out how tall a large tree in your surroundings is? Length/distance. Visualising. Investigations. Interactivities. Selecting and using information. Practical Activity. Compound transformations. Working systematically. Tangram. Combinations.